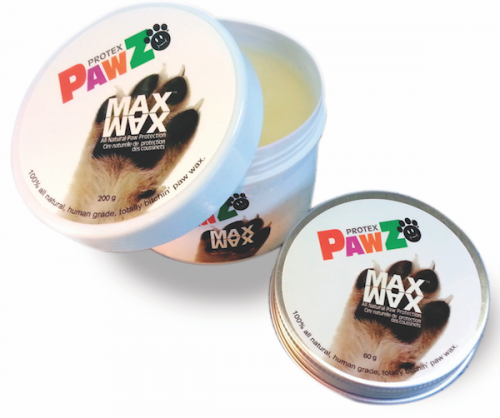 Pawz MaxWax | All Things Woof Meow, Too Inc.
Maxwax also works great as moisturizer for dry, cracked pads. Safe, non-toxic, and all natural, it can be applied year round to promote paw health. Pawz® Maxwax™ uses only human and food-grade ingredients in its production. It is also recognized as best in class product.